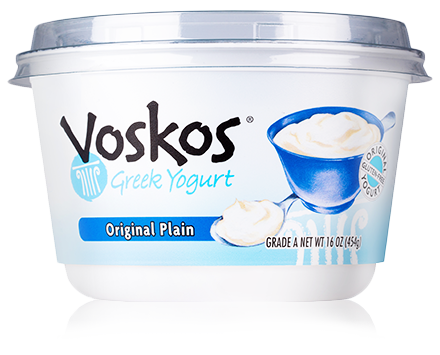 Get ready for game day and make your signature guacamole even better with a little VOSKOS® Greek Yogurt. Creamy and spicy with all the classic flavor you love, this guac is a total score that’s both healthy and delicious. Using a food processor add avocado, garbanzo beans, Greek yogurt, lime juice, garlic, salt, pepper, cumin, chili powder and jalapeños. Blend until combined. Transfer to a serving bowl, stir in the tomatoes and cilantro. Cover and chill for 30 minutes. 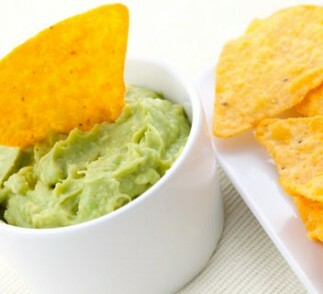 Serve with tortilla chips or sliced vegetables.